The Noah Brown stuff is a bit overblown I think. Dallas fell on the wrong side of judgment calls. Wright very easily and probably should have been flagged for PI. The other penalty ... we've all seen way worse missed. agreed. Though I thought there were some other plays he could have one better on, but I forgot. Besides in Football one week you can be the dweeb the next you may be the hero. He may end up making a big play in place of Hurns..
Noah Brown play was Offensive Interference in additional to Dak throwing a floater. I didn't like the playcalling by SL. It should have been JARWIN or SHULTZ instead of Brown. Brown doesn't get alot of reps and those other two TEs has produce more. Plus Dak has chemistry with them. Dak played great and has silenced a lot of us who spoke ill of him. Great game by all and I look forward to us playing LA this week, I think we can win. 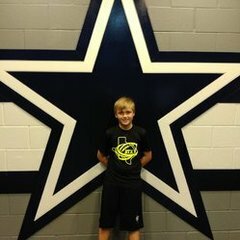 GB - Zeke, Dak, both Lines, Amari, Jaylon, LVE, Maher. S - Noah Brown, Byron Jones, Jeff Heath. How was Noah Brown suppose to catch a pass that was thrown behind him and pass interference??? TBF, if the DPI doesnt happen its probably a TD. It was only behind because KJ was tackling him 3 steps before the ball got there. Also, he made a few bad plays/mistakes, not just one, he slipped on one pass... No one is making it out to be that Noah Brown is garbage etc. . . . Just his performance in the specific game was marred with bad. In fact, I was one of the only people that named him as making the team despite is being on the shelf for so long. I knew that he was our best blocking WR, and I realized how valuable that was for our style of play.